Lack of a good nights sleep can have a negative effect on your mental and physical health. One big cause of sleep deprivation is snoring. Snoring can have serious impacts on not only the person who is doing the snoring but on his or her partner as well. Heredity and age are two unavoidable causes of snoring but the good news is that there are several methods available to help people stop snoring. If you or your partner is a snorer, you know how taxing it can be. Somebody who is sleeping next to a snorer might wake up many times per hour, often as many as15 or more times. This will make that person irritable, tired, frustrated and unable to function properly during the day. The snorer meanwhile is getting a restless sleep and also suffers the consequences of how the partner feels. Furthermore, if the solution is to sleep in separate bedrooms, it can create a strain on the relationship and lead to emotional isolation for both parties. The primary reason people snore is some obstruction of air through the nose and mouth. Usually this is caused by throat and tongue muscles that are too relaxed. When these muscles flap into the airways, the walls of the throat vibrate and snoring takes place. Further causes are asthma, allergies, obesity and large tonsils and adenoids. There are certain things you can do to lessen snoring. Diet is a main factor. Being overweight means more fatty tissue at the back of the throat. Loss of weight can decrease such tissues and create better air flow through the mouth. Alcohol and some medications, such as tranquilizers, have the effect of relaxing the tongue and throat muscles which leads to snoring. Another way to reduce snoring is to adjust your sleeping position. Lying on your back will make snoring worse. Lying on your side can ease or eliminate snoring. One method to help keep you on your side while you sleep is to attach a rolled up was of tape about the size of a baseball to the back of your pajama top. Elevation of the head of the bed can also help with snore reduction. 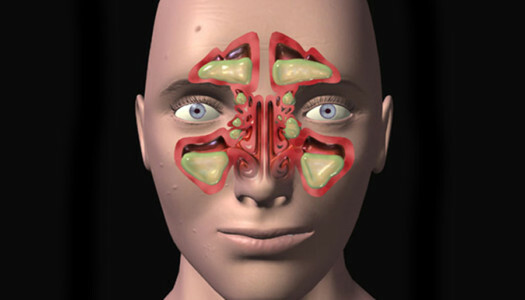 Allergies and head colds can cause blocked nasal passages. This forces most of your breathing to take place mostly in the throat. If you have nasal congestion from a cold or from allergies, try a combination of a vaporizer, nasal decongestants and nasal strips. Antihistamines, though, will relax the muscles in the throat and cause you to snore. Some of the time, no matter how diligent you are about taking these steps, the snoring still persists. In those cases, you may want to visit your physician to discuss possible medical treatments or cures. You may also want to consider one of the available surgeries that could eliminate snoring altogether. Your doctor may also be able to fit you for a special mask that forces air into the upper airway. This method is known as continuous positive airway pressure. Certain dentists can create a custom mouth piece that repositions the jaw so snoring stops. This can work very well. It is also more convenient and less expensive than continuous positive airway pressure. Snoring does not need to cause a problem between you and your partner. Very often, home techniques can solve the issue so that both parties are happy. If not, a trip to the doctors office or dentists office may be the answer. Do not let snoring control your life; there are enough ways available to keep that from happening. Various studies have proven that the relaxed lifestyle became a major risk factor for heart disease. Meanwhile, regular exercise can reduce deaths and severity of diseases associated with age. Sports Important to Elderly – Be sure that old, yet maintain the health it remains to be done. Sport is very important for the elderly (elderly) is very important. Various studies have proven that the relaxed lifestyle became a major risk factor for heart disease. Meanwhile, regular exercise can reduce deaths and severity of diseases associated with age. Aerobic exercise, meaning exercise exercise for the health of the heart and lungs, in the form of general body movements such as walking. Aerobic exercise can be done for 30 minutes every day of the week. In addition to aerobic latian way, to do with swimming, biking, and fishing. The exercise of power, could do with a bottle of mineral water lifting is done slowly, from moving the hand without the burden of a few minutes, and then with the load so that the joints are not regular and shock. Strength training can also be by the way, get up and then stood up from the Chair, and this same thing done first as warming slowly. Exercise balance, this exercise is very important because it does have scientific proof, but empirically well done to increase stability and to avoid the risk of falling in the elderly. This exercise could be the way, standing on one leg, stretching the muscles of the arms and legs, like when we do a warm up before exercising in General. This exercise is done twice a week. In this study, launched sytem elderly care or ‘ Long-Term Care Insurance System ‘ by the Ministry of health, labor and welfare of Japan, to give support on the elderly to stay healthy with exercise. Because the elderly are healthy, will affect the economic income for health care costs. Given the importance of exercise, in addition to support health fitness also elderly, people around the elderly must support and give the spirit on the elderly to exercise. Elderly typically experience various impediments to personal, socio-economic, and environment to start exercising. 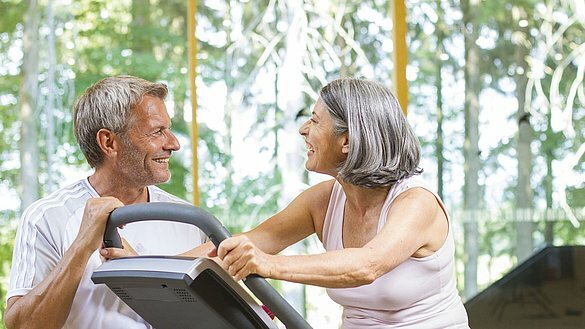 People around the elderly should give time and energy to convince the elderly will benefit the sport, designing sports activities which are individually up to accompany the elderly while exercising. That way, the elderly can work out comfortably, happy, and continuing to be the healthy elderly. Cold sores are abrasions that appear in the mouth and provide painful discomfort to the infected area. This can also occurs in gums, tongues, or cheeks that cause so many difficulties such as difficulty of swallowing crunchy or acidic foods. This disease usually occurs when the level of lysine in your body drops or when you are under a stressful condition. Other causes include accidental biting of the tongue or lips, or scorching your mouth with hot foods. Sometimes, lack of nutrients such as Vitamin B12 also causes you to acquire this health malady. One of the most common home remedies for cold sores is taking up antibiotics which are sometimes not effective. Others are wary taking it, so they prefer the natural way of treating it. Another effective home remedy for cold sores is improving the level of lysine in your body. This is an amino acid that naturally grows in the body. It supresses the growth of the virus called Herpes Simplex that causes sore colds. This amino acid greatly helps in reducing the recurrence of this disease. For you to increase the level of lysine, you just have to eat foods that are rich in it such as cheese, pears, plain yogurt, fish, milk, and apples. This effectively decreases the herpes virus, thus making you more resistant to cold sore. People with cold sore should avoid arginine rich foods. This is an amino acid that develops and renews cell growth and can trigger the growth of the Herpes virus even more. Eating foods that are rich with this element also decreases the level of lysine that makes you more vulnerable to this illness. You also have to be aware of the factors that cause this illness such as poor diet. Proper diet is very important for you to stay resilient from this ailment. If you are undergoing a cold sore treatment, you have to avoid eating foods that can trigger this ailment such as chocolates or peanuts. As much as possible, avoid being stressed because this is a great contributor in acquiring this kind of infection. The PH balance should be maintained on its normal level. Most of all, you should get enough rest. Another one of the easiest home remedies for cold sores is cleansing your system to remove the toxins that causes the bug. This can be done by eating more fruits and fresh green leafy vegetables like broccoli, cabbage, garlic, cauliflower, onion, beans, and chili. Garlic is a natural antibiotic that you can use in fighting off herpes virus. You should also have more intake of vitamin C. Dress the sores regularly with lemon balm to quicken the healing of the cold sore. Fine salt can also be used in curing the blisters by simply applying it directly on the sore. Ice is also an effective way of treating sore, which you can do every hour. These are just among the treatments that you can use to strengthen your immunity and to fight off cold syndrome. Stuffy nose or runny nose is one of the oldest and most common human complaints, it may be a nuisance but to some people, it can be a source of considerable discomfort. It can be generally caused by (a) bacterial sinusitis and (b) fungal sinusitis. Stuffy nose is one symptom caused by a group of different disorders and the physician who specializes in nasal disorders will offer treatments based on the specific causes. It can also be caused by aggravated snoring. Stuffy nose is usually caused by pollen, animal dander, mold, or house dust. During spring, summer and fall, be on a look out for the pollens of plants and trees. You might have a running nose due to cold, flu or some seasonal allergies. Especially during winter, many people experience cough and cold which is associated to stuffy nose. Having a stuffy nose, a person will have difficulty in breathing and uneasiness in sleeping. Avoid foods that are rich in sugar and carbohydrates because these foods will worsen the problem in stuffy nose. Avoid tobacco and smoking. Cigarette smoking can cause swelling in the sinus membranes. Buy nasal sprays or you can create it yourself. You just need to dissolve ½ teaspoon salt in 2 cups of warm water. Take hot chicken soup because it gives you the energy and calm feeling. Unclog a running nose with steam. Steam from a kettle, shower, or even from a chicken soup. You can also boil crushed garlic and use its steam. Alleviate your stuffy nose by drinking fluids like water, fresh juice or tea. This will help to thin the mucus. Note: Avoid drinks with caffeine because it will worsen your running nose. Practice Yoga, this activity will help you get rid of stuffy nose. If somehow these stuffy nose remedies wont help, you may have to get a prescription from your doctor. Weight is the result of calorie consumption and expenditure from food intake and physical activities, when the equation is disproportionate weight problems begin either over or under weight. In general terms the major reason is excess food intake and sedentarism which we can conclude in two words “bad habits”, We will see the basic steps to take to loose weight fast 4 Tips and tricks to loose weight fast. To loose weight fast first you need to identify your bad habits, so get a piece of paper, a pencil and start writing a list,then add, how many hours are you actually sleeping, how many meals a day you are doing, how much are you eating fast food, desserts, sodas and water intake, how much physical activities you are doing per week (Minutes or hours) and stress level you have. Remember many chronic diseases and weight problems are the result of a lifestyle. After you recognized your bad habits you must set your personal goals for each one, try to make a reasonable and achievable goals for example: Sleep at least 7 hours, make 5 meals a day, eat 3 fruits a day, have a cheat day once a week, drink 8 glasses of water per day, change soda for water and fries for salad if you have to eat outside, and of course avoid dessert!, go for a walk or jogging at least 3 days per week (45 minutes per session), give yourself quality time to reduce stress, go out with friends, take a bubble bath, listen to music, read a book, watch a movie, hug your family and pets, the same way you take care of your body you need to take care of your soul and mind , mind control is an important aspect to loose weight fast. Focus on your calorie and food groups intake, you need to get rid of sugar and refined flour, the main reason is to be healthier this way you are going to get fit and feel with energy for the rest of your life, you don´t want a 30 days diet plan for short term results you are looking for a lifestyle change, so start by planning your own healthy meal plan for every day and add more vegetables and fruits, whole grains, eat every 4 hours to make 5 meals a day, reduce your sugar consumption, drink more water. This will balance your calorie intake and you will start loosing the extra pounds. Boost your metabolism, If you are a very busy person try to find moments to increase your physical activity, start by taking the stairs instead of the elevator, go for a walk in your lunch time at least for 10 minutes, when you get home before get into bed go out and walk or make a 5-7 minutes routine you may upload an app in your cellphone to achieve greater results and at the end make a stretching routine remember your muscles need to be stretch for several reasons, to release stress, bad postures, to avoid injuries after physical activities. Try to keep this plan for at least 21 days, it´s the minimum number of days your brain needs to change habits, then it will be very easy for you to loose weight fast and and you´ll start feeling the benefits of a healthy lifestyle.